Shut it down! Bound to be a fashion girl favorite, this is THE pair to be seen in! Bring out your most curve hugging silhouette to show off your best assets, and let this beauty turn every event into an occasion! 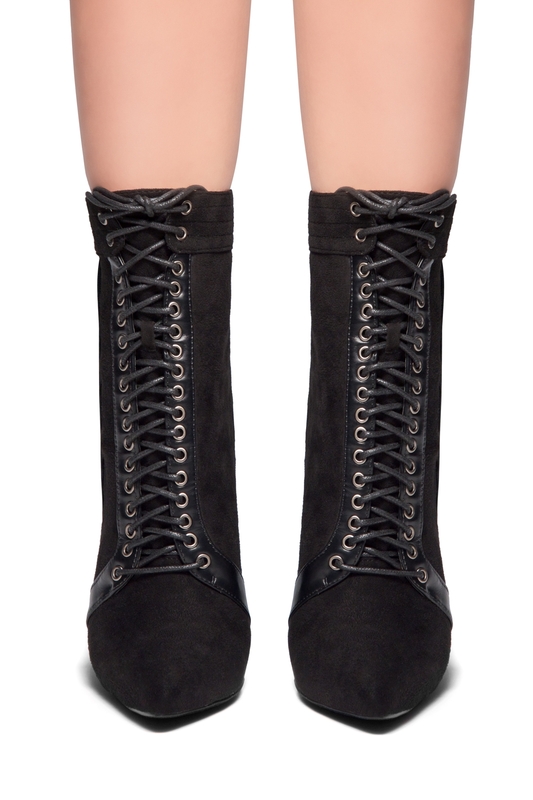 Hot View features, front lace-up, eyelet detail and Back Zipper Closure, a lightly padded insole for comfort. Available in Black and Burgundy. I have narrow feet and this item fits my feet. Such a great deal! It is very lit! I slay the party by wearing this. It is instagram worthy! I am always getting complimented on them. I love my new boots. It is very classic rock-chic style! Quick & smooth transaction with Shoeland. I am such an avid buyer of this awesome online shoe store. Thank you!